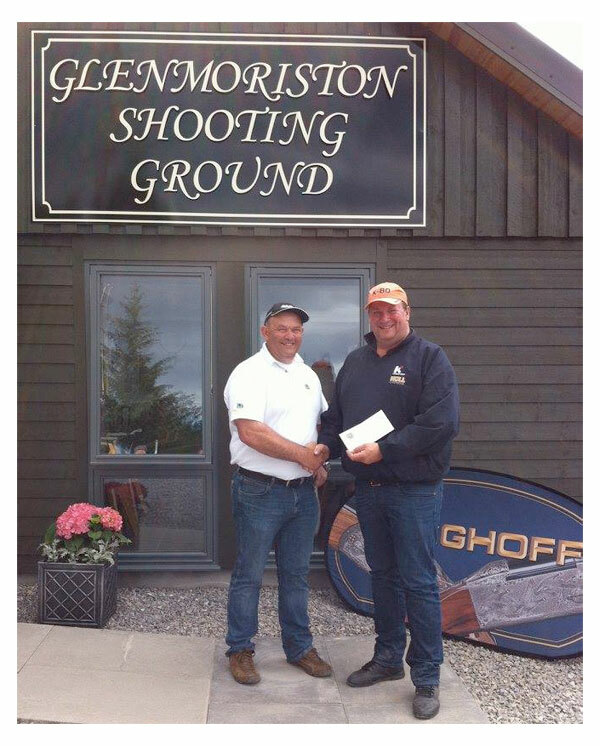 Another successful year for Krieghoff shooters at the Scottish DTL. This year's competition was held at the beautiful shooting ground at Glenmoriston, near Loch Ness in Scotland. The first event was a Sponsored DTL on the Thursday 23rd June, sponsored by Kevan Smith, Krieghoff Scotland. Paul Chaplow handed in the only perfect 100/300 of the day taking High Gun. The second day was the Tom Sim Trophy DTL on Friday 24th. Mike Milne handing in a fantastic 100/300 considering the wet and wild conditions, only to be beaten in a shoot-off, so settled with Runner-Up place, plus 1st in AA Class and Super Veterans. We also saw young Izzy Thurnell step up to win 1st in C Class and 1st in Juniors, plus Andrea Swatts winning the Ladies category. Mike Milne also went on to shoot-off for the sponsored prize gun, which he won, so a very successful day for him. Well Done everyone, excellent shooting all round. The final day was the Scottish DTL on Saturday 25th, the one to win! Once again Paul Chaplow hit his usual stride and posted another 100/300, repeating Thursday's feat and taking the Scottish DTL 2016 title. Nigel Chapman shot well to take 1st Place in AA, plus Andrea Swatts won the Ladies category for the second day in a row. We also saw Izzy Thurnell once again making her mark and taking both 1st in C Class and 1st in Juniors. Well done to all of you and it's great to see these results coming in.